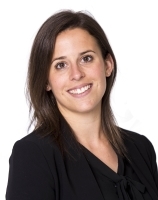 Freya joined Page Seager in February 2017, having previously worked for a leading boutique construction and infrastructure law firm in Melbourne. Freya practises in the Dispute Resolution Group, and has particular experience acting for clients involved in large-scale, complex disputes in the construction and infrastructure industry Australia-wide. Advising a special purpose vehicle in relation to the delivery of a major infrastructure project in South Australia. Acting for a contractor to advise on and prepare claims in relation to a major infrastructure project in New South Wales. Acting for a professional services firm in Federal Court of Australia proceedings in relation to claims of misleading and deceptive conduct in connection with a toll road in Queensland. Assisting in preparing submissions on behalf of a contractor for an expert determination in respect of a major infrastructure project in Tasmania.